The Barcelona Superprestigio race is becoming a regular fixture in the winter break, and this year is no exception. The third edition of the race is due to take place on 12th December in the Palau Sant Jordi, part of Barcelona's Olympic Ring up on the Montjuic hill which sits on southwest edge of Barcelona. Once again, the feature will pit some of the best MotoGP riders in the world against the cream of the US flat track scene, as well as top riders from many other motorcycling disciplines. Star of the show is once again Marc Marquez, the man who helped organize the show after hearing about previous editions of the race which had been run in the 1980s and 1990s. Marquez lost out in the first edition of the race to Brad Baker, then beat Jared Mees to win the second edition in December of last year. Both Mees and Baker will be present again, representing the AMA Flat Track series. 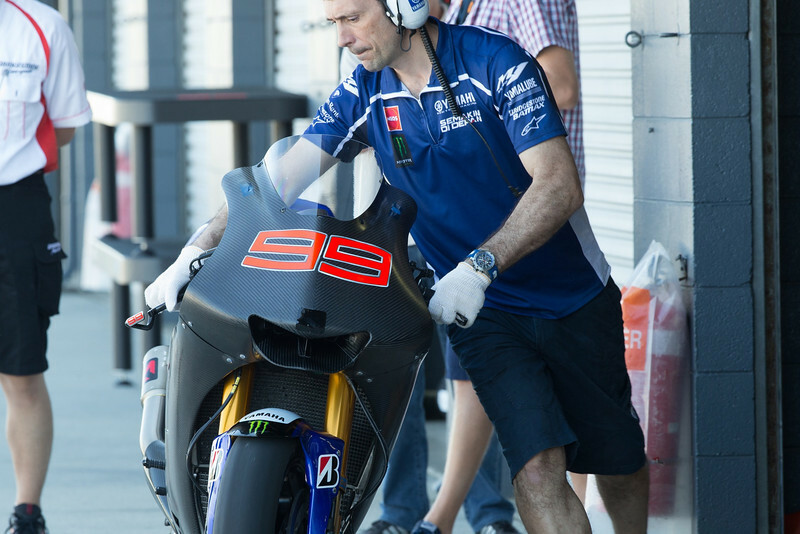 Though testing for the MotoGP class has finished, motorcycle racers in other series still have plenty of work ahead of them. 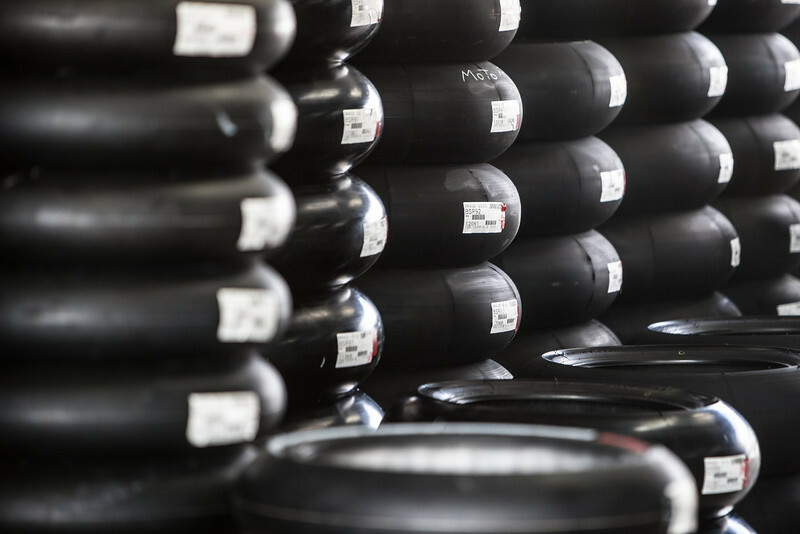 Both the World Superbike series and the Grand Prix support classes have been hard at work, ahead of a busy schedule of testing. 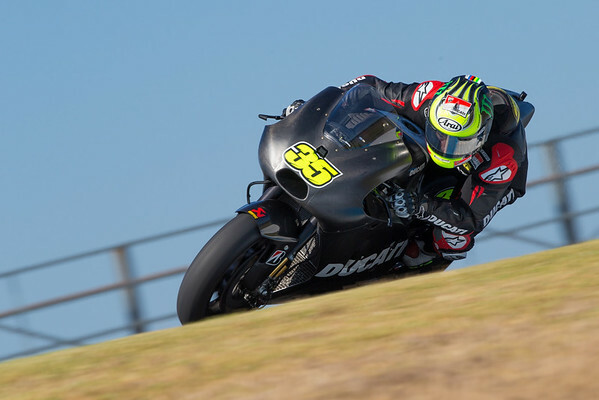 The Ducati and Kawasaki World Superbike teams have been testing at the Motorland Aragon circuit, while Moto2 and Moto3 are back at Valencia. At Aragon, Jonathan Rea made his long-awaited debut on the Kawasaki ZX-10R, alongside 2013 World Champion and fierce rival Tom Sykes. With the World Superbike teams adapting to the new regulations, the two Kawasakis were a little slower than the Ducatis of Davide Giugliano and Chaz Davies. The day started off soaking, with journalists and test riders doing media laps on the 2014 bikes of Tom Sykes and David Salom. Once the track dried out in the afternoon, Kawasaki also joined the action. At the end of the day, both Ducati riders clocked up unofficial times of 1'51.3, while Sykes posted a 1'52.2 and Rea a 1'52.7. As an interesting note, they are running the track in its MotoGP configuration, using the long, sweeping double left hander as the final corner, rather than the longer version used by WSBK when the series races there, featuring the hairpin and then right and left combination leading back on to the front straight. Giugliano's best time is three seconds slower than the best time set by Andrea Dovizioso on the first day of practice for the MotoGP race at the circuit. The end of the 2014 World Superbike championship, wrapped up last night at Qatar, has triggered a series of official rider announcements for 2015. Two of the most anticipated announcements were made on Monday, with official confirmation that Jonathan Rea would be leaving Pata Honda to join the Kawasaki Racing Team in World Superbikes, while the seat he is vacating at the Ten Kate Pata Honda team will be filled by newly-crowned 2014 World Superbike champion Sylvain Guintoli. Rea will line up alongside Tom Sykes, while Guintoli will be teammate to World Supersport champion Michael van der Mark. 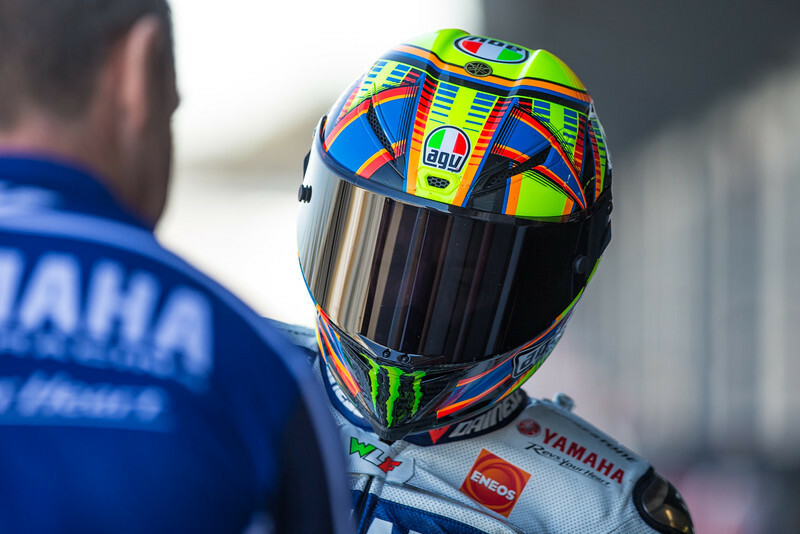 The moves of both men were an open secret in the paddock, and had originally been expected to be announced after the previous round at Magny-Cours. That, however, was dependent on Sykes wrapping up the title at the French round, but an outstanding weekend by Guintoli and a poor weekend by Sykes took the title chase down to the final WSBK round at Qatar this Sunday. With the championship over, the news could finally be announced. Another hallowed name is to make a return to the Grand Prix paddock. At Silverstone, Dakota Mamola, son of famed former 500 GP winner Randy Mamola, is to replace Nico Terol. Terol is absent due to illness, the Spaniard suffering a mystery metabolic disorder which is causing extreme muscle fatigue. While Terol undergoes treatment, Mamola will take his place, with Terol hoping to make a return at Misano, two weeks after Silverstone. Mamola has been racing in the Spanish CEV Moto2 championship with the GRT racing team. The 19-year-old is currently in 11th place, having scored 18 points at two races at the Motorland Aragon circuit. In 2013, Mamola raced in the European 600 Superstock championship, ending in 19th place with 28 points. 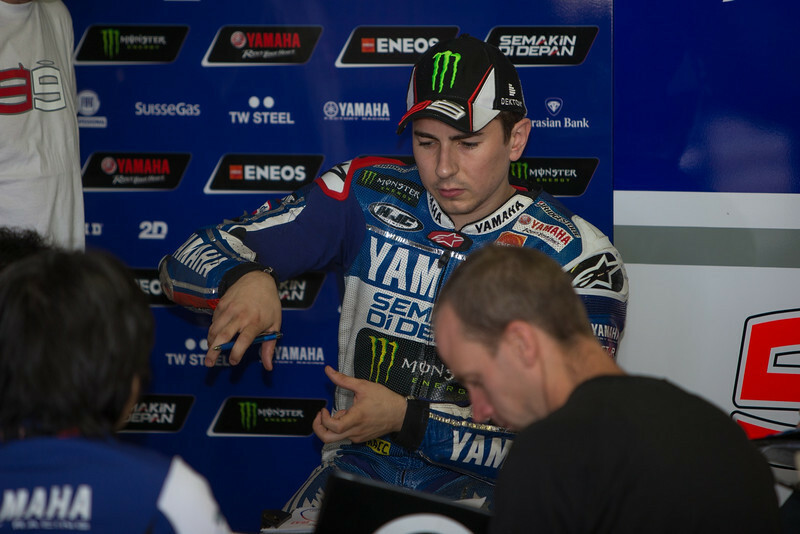 The youngster has been receiving technical support from Aspar in the CEV, so he is a natural choice to replace Terol. The interesting question is under what nationality Dakota Mamola will be entered. The youngster is racing in the CEV under a Belgian license, as his mother is Belgian, and organizing the paperwork to compete in the CEV is easier with a European license. When Mamola raced in the European Superstock license, he raced with a Spanish license, having done most of his racing in Spain. Given Randy Mamola's fame throughout the world as an American racer, doubtless Dorna would like to have Randy's son Dakota racing on his American passport. Whether this can be arranged in time for Silverstone remains to be seen. Nico Terol has decided to sit out the Silverstone round of Moto2. After enduring a dismal year with a mystery ailment, Terol has been forced to withdraw and focus on locating the source of his problems, so that he can return to racing in full health. Terol was expected to challenge for the title in 2014, after scoring three wins and one podium last season with the Mapfre Aspar team. But there had been warning signs of something amiss previously. In the middle of last year, Terol was suspected of suffering late onset lactose intolerance, exactly the same condition that affected Casey Stoner during the 2009 season. Treatment for that appears not to have had the desired effect, as Terol has suffered all this year with extreme fatigue and elevated testosterone levels. The issue has now reached the point where Terol can no longer be competitive in his current condition. Terol and the Mapfre Aspar team have decided that the Spaniard should sit out Silverstone while undergoing a battery of tests to locate the source of the problem. Though the press release issued by the team speaks solely of Silverstone, it is not completely certain Terol will be back at Misano. Two races in, and patterns are already starting to emerge in Grand Prix's junior classes. 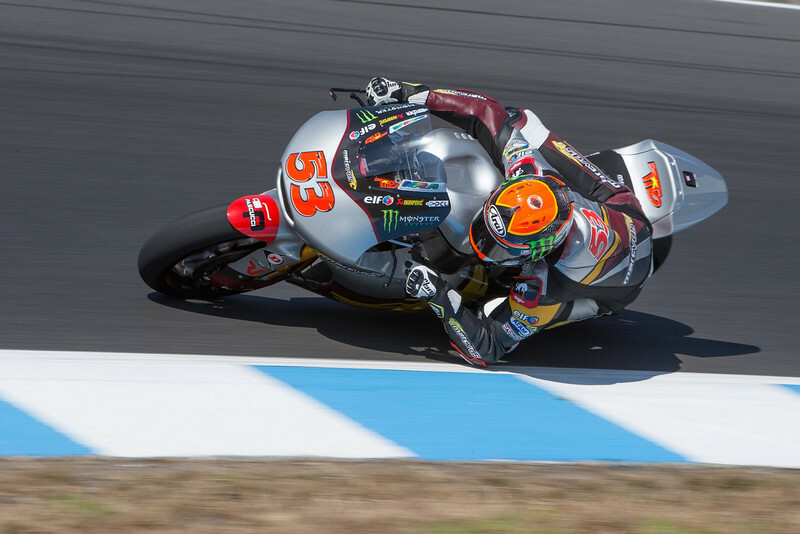 In Moto2, preseason favorite Tito Rabat is living up to expectations as his challenges fall by the wayside. 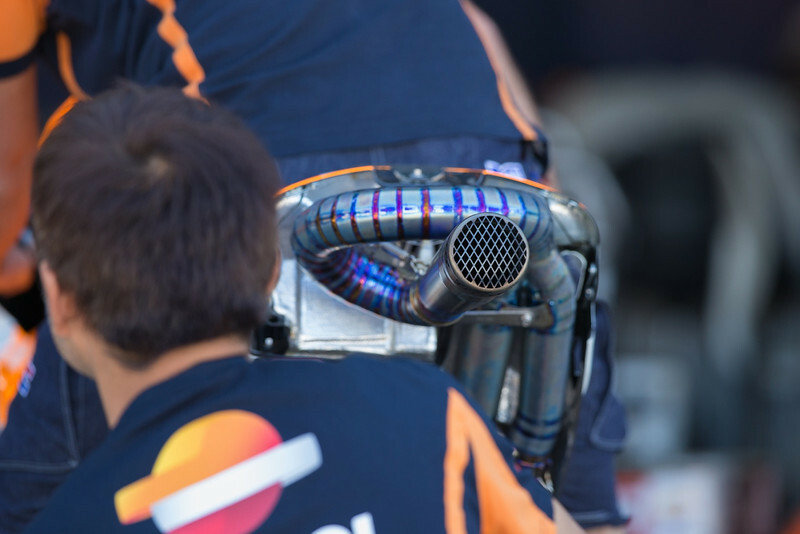 In Moto3, Jack Miller has a far firmer stranglehold on the class than expected, while the new Honda NSF250RW is proving that when HRC put their minds to building a factory race bike, the competition had better watch out. Austin, Texas, proved to be a case in point. A bizarre start to the Moto2 race saw a massive pile up at the treacherous first corner, the run up the hill combining with the massive nerves of a Moto2 start – arguably motorcycle racing's most rabid class – to produce chaos. Josh Herrin, feeling the strain of coming in as reigning AMA Superbike champion to find himself running anonymously in mid-pack in Moto2, ran in to Turn 1 too hot, try to jam his Caterham Suter into a spot which wasn't there, and ended up taking down half the field. Herrin was understandably nervous in front of his home crowd, and feeling the pressure of being the ambassador for American racers, but he did himself and any AMA hopefuls looking to Moto2 a disservice. Herrin fractured a collarbone whle training, and so will have to wait until Jerez to start to make amends.